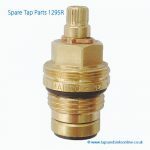 If your Tap is dripping from the Spout – change your Valve. Please see below for more information regarding whether you need a Clockwise or Anti-Clockwise Valve. 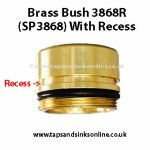 Please note that if you have a PAIR of taps e.g. 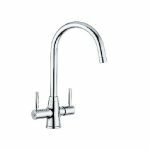 a separate Hot Tap and a separate COLD tap and BOTH your taps turn in the SAME direction ie. both turn anti-clockwise then you have the SAME valve in both the Hot and the Cold i.e a FR9246 Valve in the Hot and an FR9246 Valve in the Cold side. If they turn in opposite directions ie. one clockwise and one anti-clockwise then you have an FR9245 Hot valve in the Hot side and an FR9246 Cold Valve in the Cold side. In other words both the Hot and Cold valves are the same but open in mirror directions so please select the valve you require according to how your taps work. 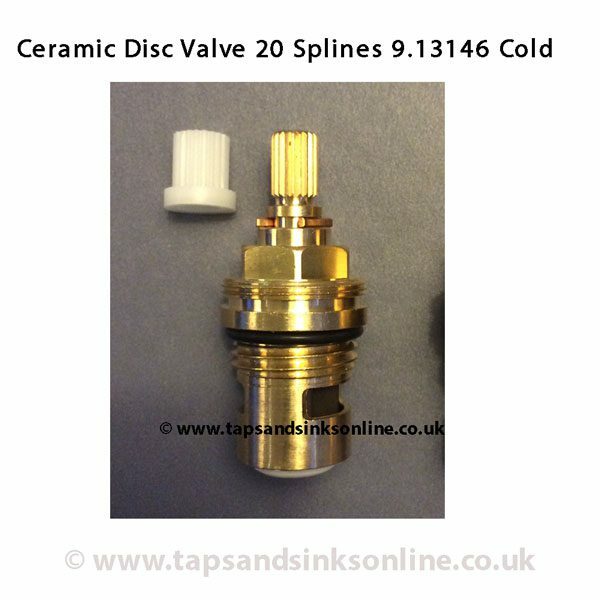 The norm in Industry when referring to Cold or Hot Valves usually means that a Clockwise Opening Valve is known as a Hot Valve (CO) and an Anti-clockwise (ACO) Valve is known as a Cold Valve. However, in a Bridge Lever Tap where the Levers operate Horizontally rather than Vertically, the oppposite applies (provided your Tap is plumbed as described above). 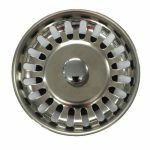 This means that you would need our 'Hot CO' Valve for the Cold Feed and a 'COLD ACO' for the Hot Water Feed. 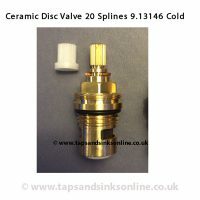 If in doubt, remove your own valves first and order the same i.e if your own Valve has a blue seal, order the Cold ACO Valve. If your own Valve has a red seal, order the Hot CO Valve. 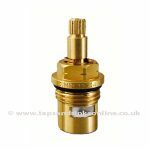 If your own Valves have white seals, then the COLD ACO valve will have NO nick on the nut, whereas the HOT CO valve will have a nick on each side of the 6 sided nut below the splines. If still in doubt, order a Pair. . 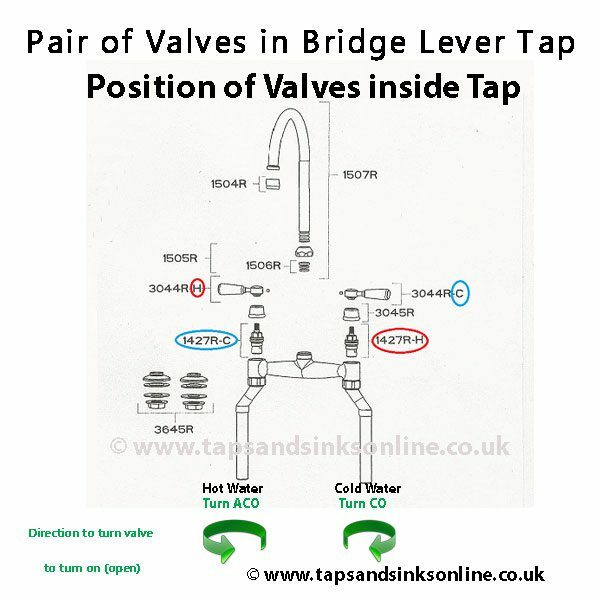 Please see here an example of a Bridge Lever Tap and note that the Hot Valve is on the Cold Side and the Cold Valve is on the Hot Side.